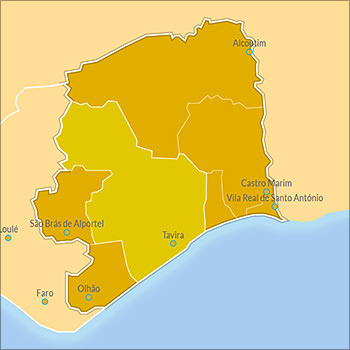 Tavira municipality is divided in 9 parishes: Cabanas de Tavira, Cachopo, Conceição de Tavira, Luz de Tavira, Santa Catarina da Fonte do Bispo, Santa Luzia, Santo Estêvão, Santa Maria (Tavira) and Santiago (Tavira). This page is only a brief overview. If you want to know more detailed travel information about this city, we recommend you take a look at our Tavira Portugal Guide website.